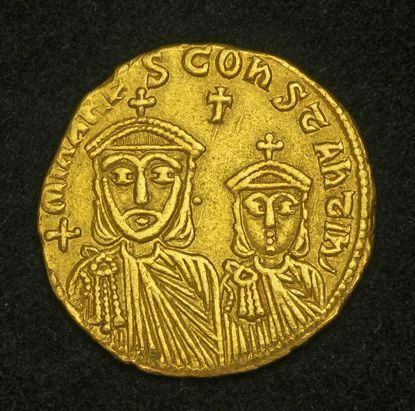 Theophilos was the Byzantine Emperor from 829 until his death in 842. He was the second emperor of the Amorian dynasty and the last emperor to support iconoclasm. Theophilos personally led the armies in his lifelong war against the Arabs, beginning in 831. In 837 Theophilos led a vast army of 70,000 men towards Mesopotamia and captured Melitene and Arsamosata. Theophilos returned to Constantinople in triumph. Eager for revenge, Al-Mu'tasim assembled a vast army and launched a two-pronged invasion of Anatolia in 838. Theophilos decided to strike one division of the caliph's army before they could combine. On 21 July 838 at the Battle of Anzen in Dazimon, Theophilos personally led a Byzantine army of 25,000 to 40,000 men against the troops commanded by al-Afshin. Afshin withstood the Byzantine attack, counter-attacked, and won the battle. The Byzantine survivors fell back in disorder and did not interfere in the caliph's continuing campaign. The health of Theophilos gradually failed, and he died on 20 January 842.